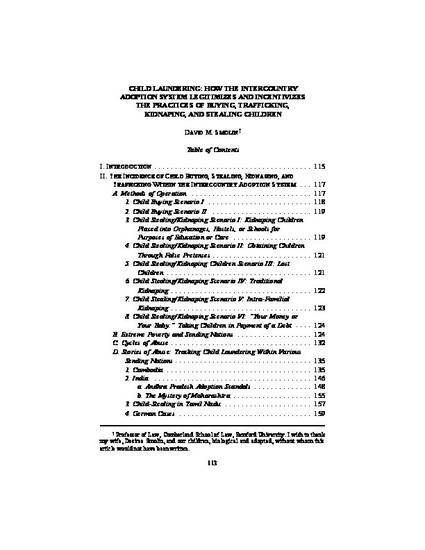 This article documents and analyzes a substantial incidence of "child laundering" within the intercountry adoption system. Child laundering occurs when children are taken illegally from birth families through child buying or kidnapping, and then "laundered" through the adoption system as "orphans" and then "adoptees." The article then proposes reforms to the intercountry adoption system that could substantially reduce the incidence of child laundering.